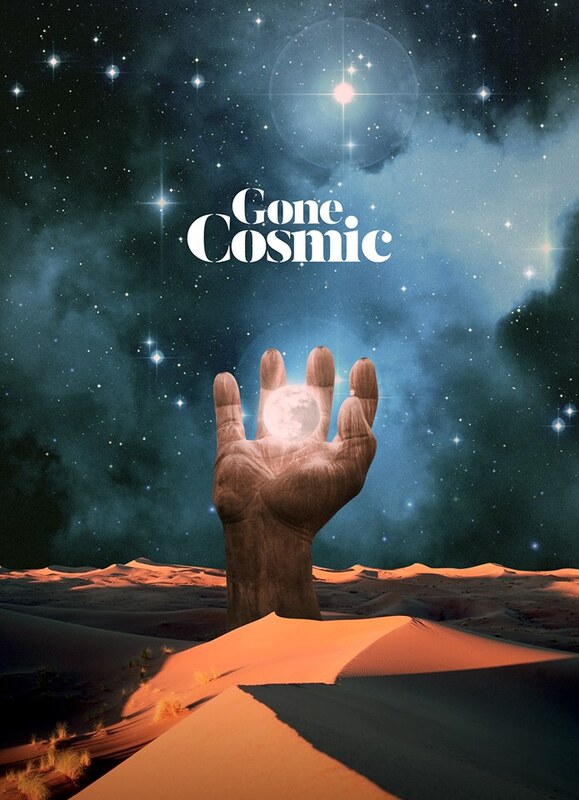 Sideways in Time is the debut album from psychedelic stoner rockers Gone Cosmic. The members of the band are no strangers to the Calgary music scene. They are fronted by Abbie Thurgood (The Torchettes), a harmonic heroin in her own right, who is supported by a heavy psych-rock trio made up of guitarist Devon “Darty” Purdy (Chron Goblin), bass player Brett Whittingham (Chron Goblin), and percussionist Marcello Castronuovo (Whitchstone). Each musician is a master of their craft, and alone they would be a force to be reckoned with, together they are an unstoppable powerhouse of groove excellence. Like Voltron, they come together to form something much bigger than themselves, saving the cosmos from the forces of the monotonous and the mundane. The album will be released on the label Kozmik Artifactz and was recorded at OCL Studios in Calgary. Sideways in Time will teleport you to a place where the beautiful and the brutal collide- its as if Mastodon and Pink Floyd had a love child that was raised by Janis Joplin and grew up listening to Black Sabbath. From the opening riffs off the track Dazed to the technical drum rolls of My Design the album is a roller coaster ride from start to finish. It will keep you guessing, keep you thoroughly entertained, and leave you wanting more as you enter into the lurid loop de loops and round the rapturous bends to a place of sonic bliss. Like a psychedelic cosmic onion the album has a multitude of layers that play with each other in a harmonious way that is both pleasing to the ears and interesting to the mind. From the heavy psych-rock instrumentation to the powerfully dreamy vocals the overall feel of the album is heavy metal space opera. One moment you can be listening to a seemingly soul-stirring ballad, like you will find at the beginning of the song Siren, and the next you will be banging your head along to a groovy breakdown that even the purist of metal heads among you will be able to appreciate. The riffs throughout the album are heavy but still maintain their groovy foundations which make it almost impossible not to bob your head along to. The vocals have a power to them that is only rivaled by the diverse frequency spectrum in which they occupy, strong when they need to be yet soft and delicate where appropriate- hauntingly beautiful all around. Everything from the funky basslines, to the precise thundering of the percussion, to the guitar licks that drip with the right amount of hazy stoner goodness is executed perfectly and masterfully deployed. The first single off of the album, Deadlock, shoots for the stars with it’s ethereal vocals and its spacy vibe but is kept grounded by an appropriate amount of sludge laden instrumentals. The psychedelic screeches of the guitar and the groove inducing bass walks combine with the punchy, ferocious drumming and surreal singing to take you on a journey through time and across dimensions. Sideways in Time takes you to a place where music and the epic combine to produce something that is delightfully heavy and really, really good. If you would like to know more about Gone Cosmic and the work that went into making Sideways in Time check out E59 of Groove Talk which can be found below.